Set in the aftermath of the 2008 financial crash, Hell or High Water is a film about two brothers, Toby (Chris Pine) and Tanner Howard (Ben Foster), on an armed robbery spree in West Texas. The brothers hold up Texas Midland Bank branches garnering the attention of the Texas Rangers who dispatch partners Marcus Hamilton (Jeff Bridges), and Alberto Parker (Gil Birmingham) to apprehend the robbers. With Hamilton, the lead investigator, nearing retirement and the Texas setting, the film is reminiscent of the Coen Brothers’ film No Country for Old Men (2007) only without the Cormac McCarthy poeticism or the Coen Brothers’ ability to create riveting high tension. In Hell or High Water Jeff Bridges’ Texas Ranger Hamilton is a lot like U.S. Marshal Rooster Cogburn which he played in the Coen Brothers’ film True Grit (2010). 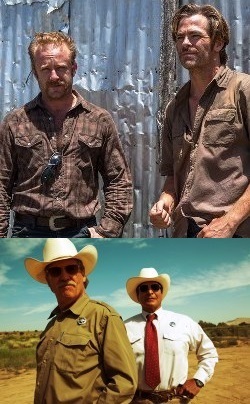 In a way, some of these similarities to popular Coen Brothers films make David Mackenzie’s Hell or High Water come across as derivative, yet in another way they provide a comfortable vehicle to tell this story. Trailers for the film make it look like a sort of Robin Hood story of men stealing from the rich to give to the poor, but when watching the film itself it becomes clear the brothers are “the poor” and what is really going on is a plot to rob the banks and gather enough money to stave off foreclosure on a mortgage owned by the same bank. The moral question in Hell or High Water is one people have struggled with for centuries: Is it okay for the poor to steal from the rich? Christians will want to remember that coveting is a sin and there are no amendments to the 7th Commandment that make theft permissible even if the victim has more than others. 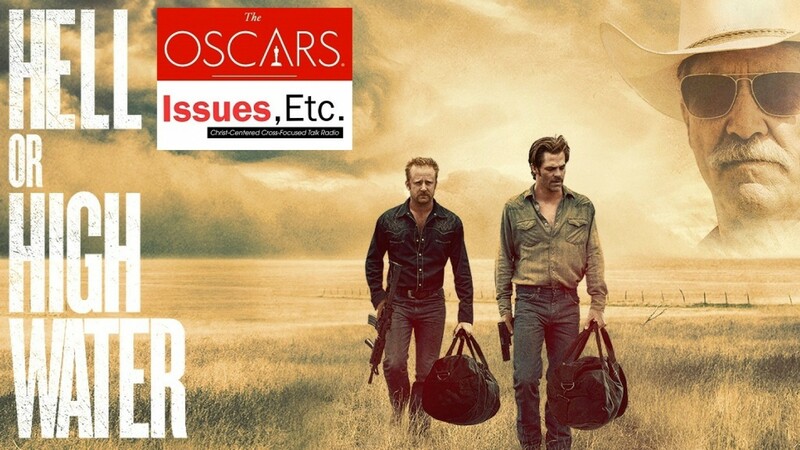 In addition to its nomination in the Best Picture category Hell or High Water is also nominated in the categories of Best Supporting Actor (Jeff Bridges), Adapted Screenplay (Taylor Sheridan), and Film Editing.